It’s holiday time and the familiar balancing act of creating delicious nutritious, well-planned meals within a budget is upon you again. So how can you ensure you and your family eat like a 5 Star Chef would eat at home, by spending even less than you usually do? Is that even possible? To the untrained, it might seem like an impossible task, but if you take a few tips from the experts (5 Star Chefs and other talented cooks aka Moms) you may be surprised. One thing all professionals agree on is – plan your menus. If you plan carefully and shop from a list, there is less chance of you buying random food items “just in case”. Those can add unnecessary expense to the final bill. So here are some great tips, recipes and food hacks from professional chefs, talented cooks and culinary champions! As Thanksgiving approaches, you might like to consider this variation on a Pumpkin Pie recipe from internationally known British chef Jamie Oliver (definitely a 5 Star chef) . Sacrilege! I hear you shout – pumpkin pie with no pumpkin? But if I tell you the cost per portion is less than $1, does that make it more attractive? Worth a try, surely? Here is a list of food “hacks”, tips and tricks, some of which do take a little practice, but will help you achieve that coveted chef-style presentation and standard. Whereas Lifehacker suggests buying your meat minimally processed, making the most of your slow cooker and developing an understanding of when to buy top quality condiments and when the slightly cheaper version (not cold-pressed virgin olive oil) will do just fine. It’s also worth shopping around, both on and offline, for bargains on pantry items which can add flavor without costing a fortune. Ethnic food shops often have surprising bargains if you take the time to look. Lifehacker supports the community approach like joining a community supported agriculture group (C.S.A.) and scouring your local farmer’s market later in the day for great bargains on fresh produce. 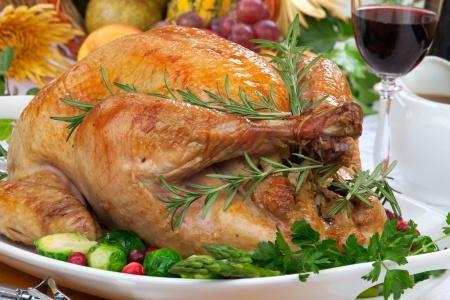 And to end on a note of thanks – Epicurious has a whole slew of money-saving suggestions for creating a 5 Star Thanksgiving Dinner while spending less on the food for it. Tips include making your own bread, knowing when to choose canned or frozen vegetables over fresh (yes, you got it – when they’re out of season!) and even how to “brine your bird”! The whole menu for 8 people will cost you just under $80 and the Pecan Pumpkin Pie might just beat Jamie’s version! What’s your favorite money-saving tip? Do you have one that helps you cook like a 5 Star Chef?